2015 is almost over. Can you believe it? Time sure flies by. Anyway, Funimation took so much stuff home this season, it’s not even funny. Well, okay, maybe it is. Here is all of Funi’s simulcasts and Broadcast Dubs for Winter 2016 (and some of my thoughts on the shows, because why not?). Let’s get started. Prepare yourself; it’s a long way down. Dimension W is animated by Studio 3Hz and adapted from the manga of the same name by Yuuji Iwahara (also known for King of Thorn, which received an anime film adaptation). I’m not surprised that Funi got this one, because they’re actually part of the production committee... Somehow. In the year 2071, the world’s energy problems seem solved by a network of cross-dimensional electric-field inductors- “coils” -that extract energy from a seemingly infinite source. That source is the W dimension, a fourth plane that exists beyond the X, Y, and Z dimensions. In this world, unofficial “illegal” coils harness powers that the police can’t hope to counter. Dealing with these coils is the job of coil-hating repo man Kyoma, whose run-in with the unique coil android Mira leads the two to form a reluctant partnership. Alternatively named as Grimgar le Monde des cendres et de fantaisie, Grimgar will be animated by A-1 Pictures (Anohana, Silver Spoon, Perfect Insider). This is an adaptation of the light novel, written by Ao Juumonji and illustrated by Eiri Shirai. When Haruhiro awakens, he’s in the dark surrounded by people who have no memory of where they came from or how they got there. As the darkness fades, a fantastic new world called “Grimgar” appears before them and their adventure begins—but first, they’ll have to choose their guild, class, and special abilities. This one is... strange, to say the least. Pandora in the Crimson Shell: Ghost Urn is a manga by Koushi Rikudou and what looks to be a cutesy ripoff of GitS based on a concept by Masamune Shirow—that “concept” being Ghost in the Shell (I mean, just look at the title). Studio Gokumi takes the reins for this anime adaptation. In an age when large-scale natural disasters frequently happen all over the world, when cyborgs and autonomous robots are beginning to appear on the market in technologically advanced nations and major world powers compete for technology and resources, the divide between rich and poor grows and the future for the poor looks bleak. In this transitional stage, everyone wanders around in a self-indulgent daze and the way out isn’t clear... This is the story of how two cybernetically enhanced girls meet. The Divine Gate anime is animated by Studio Pierrot (Tokyo Ghoul, Yona of the Dawn, Osomatsu-san). This anime is based on an iOS and Android game with zero story to tell from the same developers of Puzzle & Dragons, GungHo. After the Divine Gate opened, our world and the worlds beyond became connected, bringing an era of chaos. To restore order, the World Council was formed and the Divine Gate fell into legend. Now, a select few have gathered to attempt to reach the Gate and remake the world. But what will they find when they open the door? A new sports anime that adapts an otome game that I know nothing about. But it’s animated by Madhouse, so... there’s a plus, I suppose. From MADHOUSE, the studio behind Death Note and One-Punch Man, comes a fast-paced sports anime about Stride—competitive city-wide relay races. Nana and her classmate, Takeru, are desperate to resurrect their school’s Stride Club, but will they be able to get the prickly Riku, who insists he hates Stride, to join the team? Studio Feel adapts this manga by Kotoyama. It’s a comedy and it involves candy. I am intrigued. Kokonotsu “Coconuts” Shikada dreams of becoming a famous manga artist. The only problem—he’s terrible. His real talent is selling the complex and delicious snacks in his father’s “dagashi” shop. He never thought much about the family business until the trendy, eccentric Hotaru showed up. As a lover of “dagashi,” she can’t let his talent go to waste and decides she won’t stop ‘til she’s sold him on sweets. Funimation continues streaming (and dubbing) J.C. Staff’s adaptation of Heavy Object, a light novel written by Kazuma Kamachi (the author of A Certain Magical Index). This is more Assassination Classroom, animated by Lerche. If you enjoyed the first season, then as a reader of the manga (by Yuusei Matsui), I give you this advice: Keep watching the anime. Class 3E is about to begin their second semester! And while some things have changed, the class assignment is still the same: kill their teacher before the end of the year! Easier said than done since Koro-sensei’s made it clear he won’t go down without a fight. Will these students be able to take down the tentacled monster that moves at Mach 20 before he can destroy the world? Do you like Studio BONES? I like Studio BONES. And if you liked the first season of this anime, you should probably follow up with the second season. Catch up with Shirayuki in the new season of Snow White with the Red Hair. Shirayuki is a plain girl, save for her shock of beautiful apple-red hair. Her stunning mane gets her noticed by the prince, but instead of romancing her, he demands she be his concubine. Shirayuki chops off her lovely locks, and runs away to the neighboring kingdom where she befriends a handsome stranger. Note: Broadcast Dub fans will have a chance to catch up on season 1 of Snow White with the Red Hair starting this January. Check out this blog post for more details. A prequel to Fairy Tail, written and illustrated by Hiro Mashima, now in animated form. Nobody lists the studio responsible for this project, but you can probably just assume it’s A-1 Pictures. This prequel series depicts the founding of the Fairy Tail guild. Many years ago, Mavis Vermilion was a servant on Sirius Island, mistreated by a guild master and his daughter, Zera. But Mavis stayed positive, because her mother once told her that fairies never visit people who cry about their problems. When the guild came under attack, Mavis pulled Zera from the wreckage into the forest. Seven years went by, and the powerful wizards Warrod Sequen, Precht, and Yuri Dreyer arrived on the island, seeking a powerful jade gemstone. This journey would change the course of magical history. Studio MAPPA did a fantastic job last year with GARO -Honoo no Kokuin- (or GARO: The Animation if you so desire). And when I say fantastic, I mean it. Unfortunately, it seems that Crimson Moon doesn’t click with some people, myself included. Funimation is still streaming this series until the very end, however, should you still be inclined to watch it. In the capital city of an elegant, feudal society, a powerful spiritual barrier protects people from demonic monsters known as “horrors”—at least, those lucky enough to live in the northern part of the city. For the commoners who live to the south, it’s a completely different story. As soon as night falls, the horrors begin their dark hunt, feasting on the souls of any humans who cross their path. Against unbeatable odds, the fate of the city will fall to a small group of warriors dedicated to protecting the citizens and fighting through the night. One Piece: An absurdly long (and very popular) manga series written and illustrated by Eiichiro Oda that began in 1997 and is still ongoing at 80 volumes. It recieved an anime adaptation produced by Toei Animation that began in 1999. Like its manga counterpart, it is also absurdly long, clocking in at 724 episodes at the time of this writing. The battle for Dressrosa rages on as Luffy and the Straw Hats continue their battle against the tyrant Doflamingo and his Donquixote Family. The stakes have never been higher as Doflamingo is willing to put the entire island at stake to defeat his opponents. Can Luffy muster the power needed to defeat his toughest foe yet? Funimation decided to be buddies with Aniplex, so now they get to stream a some anime that you’ll still have to buy from Aniplex. This is the third part of Durarara!! x2. Yes, Durarara!! is awesome. Ryugamine Mikado was looking for a bit of excitement when he moved to the trendy Tokyo district of Ikebukuro—and excitement is just what he found thanks to the district’s colorful residents. There’s Shizuo, a street-sign-throwing man dressed like a bartender who’s always fighting Izaya (a sadistic information broker), your average group of passionate otaku, an unstable doctor-for-hire, and a mysterious female biker who’s desperate to get a-head in life. In Ikebukuro, no one can say what will happen next… But you can bet it’s gonna get loud. An original anime that’s connected to the trading card game by Bushiroad. It will be produced by a studio named Doga Kobo (Plastic Memories, YuruYuri, Himouto! Umaru-chan). After losing a war in their home world Tetraheaven, the Gods appeared in the human world seeking refuge. To protect the citizens from the otherworldly beings, the government began employing Logicalists—a special police force with the power to enter trances with Goddesses. In these trance forms humans and Goddesses can combine their power and fight against those looking to disturb the peace. Here’s another Aniplex-licensed title that Funi can stream. (Yeah, you’ll have to buy this from Aniplex, if you decide to do that.) And they changed the name of it. I don’t really like the new title. (Note: The Japanese title translates to “The Town Where Only I am Missing”.) A-1 Pictures gets yet another project on their hands—adapting this award-winning manga by Kei Sanbe. Satoru Fujinuma is a reclusive part-timer with no plans for the future. What sets him apart from the other slackers in his town is an involuntary time travel ability that allows him to jump back several seconds in time in order to prevent accidents and even deaths. As incidents around town begin reminding Satoru of a childhood trauma he’d sooner forget, he finally begins to question what caused his ability to surface and whether or not it’s powerful enough to change the past. Haruchika is a mystery novel series by Sei Hatsuno. The anime will be produced by P.A. Works (Nagi no Asukara, Shirobako, Angel Beats! ), so I’m assuming it will look pretty. That is all. Things look bleak for the school’s Wind Instrument Club until childhood friends Haruta and Chika step in to save the day. When they aren’t practicing to perfect their own playing, they’re working hard to save the club by recruiting new members. After a series of mysteries shock the school, they’ll have to add junior detectives to their already-impressive resumes. It’s Gundam, so it’s produced by Sunrise. A lot of people seem to like IBO (I haven’t gotten around to watching it just yet), and the best part is you don’t need to watch the rest of the Gundam series to understand IBO. Now you have another place to watch it instead of Daisuki. From the original creator of the Mobile Suit Gundam franchise and Mari Okada, the writer behind Anohana and Black Butler Season 1, comes Mobile Suit Gundam: Iron-Blooded Orphans. 300 years after the end of a great conflict known as the “Calamity War”, a new government system has brought an era of peace to Earth. But when Mikazuki Augus, a young member of a private security company known as the CGS, accepts a mission to protect a young woman seeking to liberate the Martian city of Chryse from Earth’s rule, he sets off a chain of events that threatens to send the galaxy back to war. With his orders in hand, he’ll have to head into battle using a war-era relic the CGS has been using as a power source—the Gundam Barbatos. And that’s everything, straight from Funi’s mouth. The most surprising thing for me is how many shows they put up for a Broadcast Dub. That’s ten titles. Granted, that includes some of the returning shows, but still, that’s a lot of work for the voice actors. Personally, I’m most excited for Assassination Classroom and Snow White with the Red Hair. Those are on their second cours, though. But out of the new shows, Grimgar interests me the most. That’s all I’ve got. 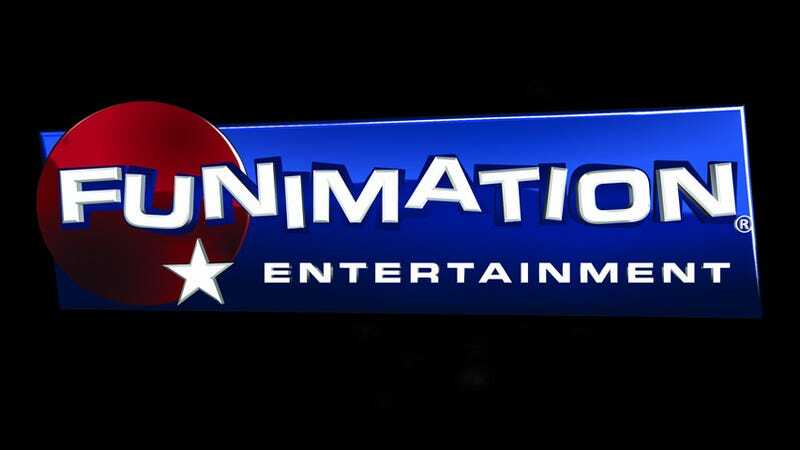 Funimation’s Winter 2016 lineup retrieved via their blog.